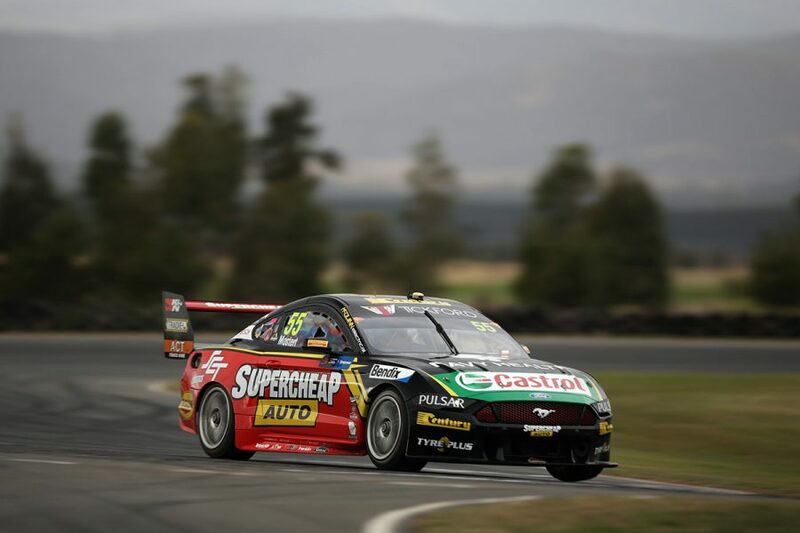 Jamie Whincup turned a lap after the chequered flag to pip Chaz Mostert in opening practice for the Tyrepower Tasmania SuperSprint. 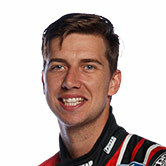 The Red Bull Holden Racing Team driver set the pace with a 50.7564s to beat Mostert by 0.0191 seconds. 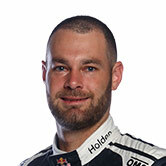 Commodores and Mustangs split the top six places evenly, including with Shane van Gisbergen and Scott McLaughlin third and fourth. After the weekend at Symmons Plains commenced with an additional-driver session, the full-timers had 30 minutes to themselves. 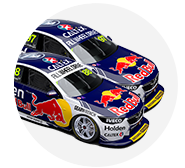 Whincup, following co-driver Craig Lowndes' run in the opening session, set the early pace with a 51.0865s. That had him 0.0170s ahead of McLaughlin until van Gisbergen went fastest with a pair of improvements, including a 50.9731s, at the halfway mark. There were other gains but van Gisbergen also found more time to a 50.8547s, which was the effort to beat entering the final phase. Mostert vaulted from 15th to second with 90s left on the clock, and then displaced van Gisbergen at the top on his next lap. 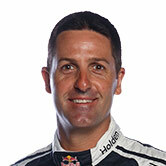 His 50.7755s was fastest when the chequered flag came out, but Whincup was still on a flier and duly turned a 50.7564s. That left the 12-time Symmons Plains race winner with a 0.0191s advantage at the top. "The car is OK, it’s reasonable, but it’s not as nice as we’d like, we’ll do a bit of work between P1 and P2 to try and improve it," he said. "I think everyone has a bit of a step to be made. The track is quite quick, a couple of tenths off on practice tyres. "I think on green tyres the record could be under threat." 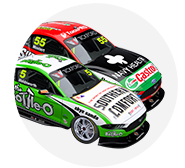 Mostert is in a new-look Supercheap Auto Mustang and spent last week racing a BMW GT3 car in the USA. "You have no idea what tyres people were running, obviously it’s the next one that matters for the weekend going into qualifying," he said. "For me it was just trying to get myself used to the Supercar again. I did eight hours at Laguna Seca driving a GT car, it’s fairly different to one of these. "It was a bit hard at the start of the session. I found a bit of a groove towards the end but we’ve still got a bit of work to do with our car." On the centre of gravity change for the Mustang, he added: "For me, the biggest feeling was it’s not my BMW Team Schnitzer car. It’s a little bit different for me, just getting myself re-used to it. "We’ll see what the real problems are through the weekend. The tyre always fixing a lot of dramas in these cars, so it was good to run a better set at the end there." Van Gisbergen took third and McLaughlin lost time mid-session with what his team called a 'minor electrical issue' but still wound up fourth. "We had a little dash page issue. From basically after my first stint I had no shift lights, no lock-up lights and no start page," McLaughlin said. "I didn’t even know what times I was doing, it was a bit like go-karts. But it was alright, I think I went faster at one stage! "This hasn’t been an amazing track for us and I feel like that’s the strongest we’ve rolled out, it was just the dash issue that hurt us. "When you’re not shifting right, it does make a difference, especially at a place like this where it’s minuscule." Penrite Racing's David Reynolds was fifth, ahead of the Tickford Mustangs of Lee Holdsworth and Will Davison. Scott Pye, whose co-driver Warren Luff was fastest this morning, took eighth for Mobil 1 MEGA Racing. 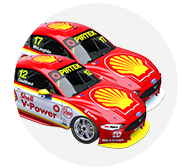 Fabian Coulthard had a spin at the hairpin on his way to ninth, while Anton De Pasquale rounded out the top 10. The best of the Nissans was Rick Kelly in 11th, from the fourth Tickford Mustang of Cameron Waters. 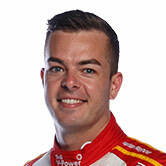 Wildcard runner and Supercars debutant Jack Smith was the best of the four Brad Jones Racing drivers in 15th. 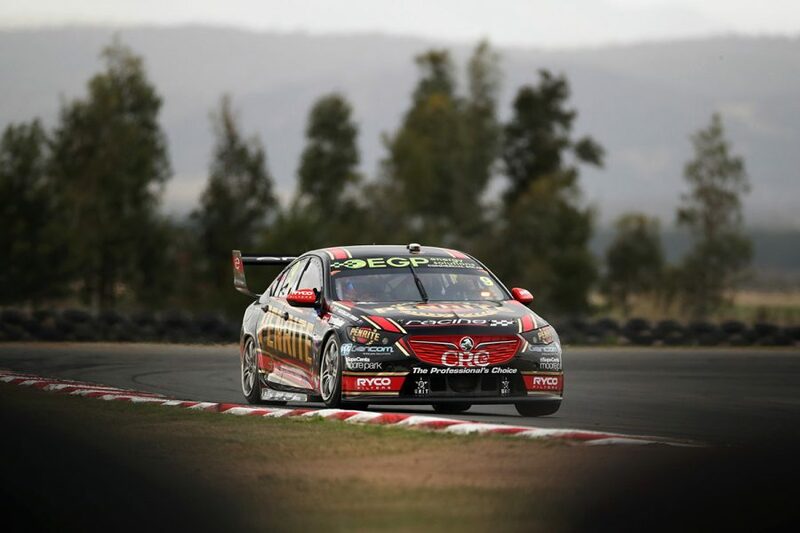 Team-mate Nick Percat's session ended with his Dunlop Commodore in the gravel trap at Turn 4, and 18th in the order. Practice 2 starts at 2:20pm on Friday, with the top 10 earning a free pass to the second phase of Saturday's knockout ARMOR ALL Qualifying.